Cynthia's presentation covers what is currently going on with the family of geraniums in this new global mega-monster agricultural marketplace and how we each can help to preserve what is still here. Cynthia has contributed articles to the International Geranium Society's periodical Geraniums Around The World and San Diego Floral Association's California Garden magazine. Her garden has been featured in The Reader and in The San Diego Union-Tribune. 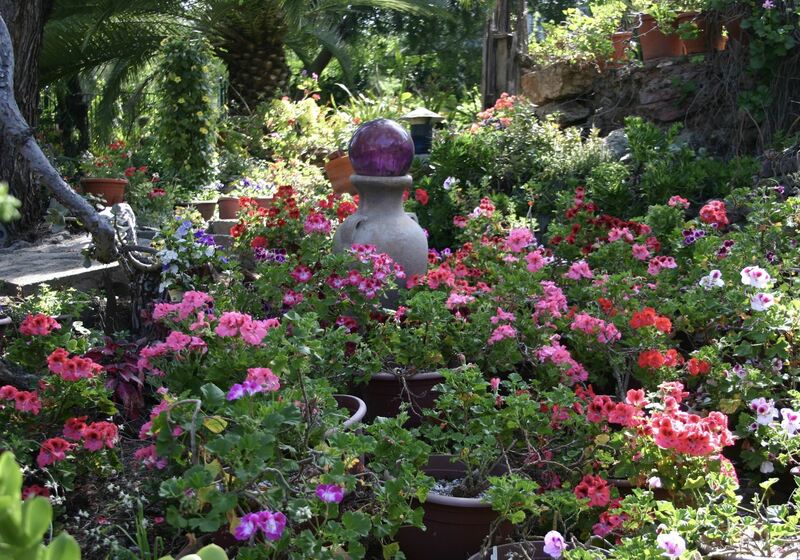 In the late 1990s, KUSI came to her garden to showcase her collection for the news. She is the past president of the San Diego Geranium Society and has lectured about geraniums to plant societies and clubs throughout the west coast. Cynthia continues to do her best to preserve endangered pelargoniums within this amazing geranium family and encourages others to help preserve them as well.